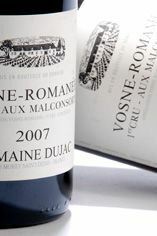 The Wine Advocate - Smoked meat, star anise, clove, black tea, and dark berries in the nose of Dujacs 2007 Vosne-Romanee Les Malconsorts set the themes for a palate expansive and with lasting intensity despite a certain lightness of color and weight. 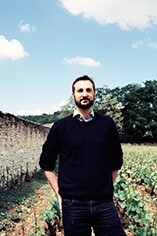 There is a lot of class here as, of course, there should be for its vineyard and price and it can be enjoyed anytime over the next 4-6 years, I suspect. Burghound - A more overtly spiced nose adds cinnamon and hoisin to the mix of what Dujac's Beaux Monts offers with similar red berry fruit aromas laced with more overt earth notes as well that merge into slightly bigger and richer flavors that also possess a bit more concentration though in the end, this too seems to be on the light side though the sappy finish does deliver impressive persistence.